Help adhere your documents to the standards of COBie2 during project workflow and minimize the time required for creating project handover data. 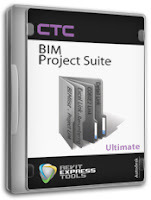 This package also includes all the tools in the BIM Manager Suite Premium and Standard. Help adhere your Revit documents to the standards of COBie2 during project workflow and minimize the time required for creating project handover data. The most advanced, yet easiest to use Revit family browser for finding, organizing, and leveraging Revit families. The best tool for round tripping parameter data from Revit to Microsoft Excel. The easiest, most customizable time-saving tool for finding and tracking frequently used documents related to Revit projects. The quickest and easiest way to renumber your rooms and doors with an intuitive and customizable method. Automates the process of linking AutoCAD DWG details for use in the Revit project environment. For other family browser add-ins, click here. For other Excel-related add-ins, click here.